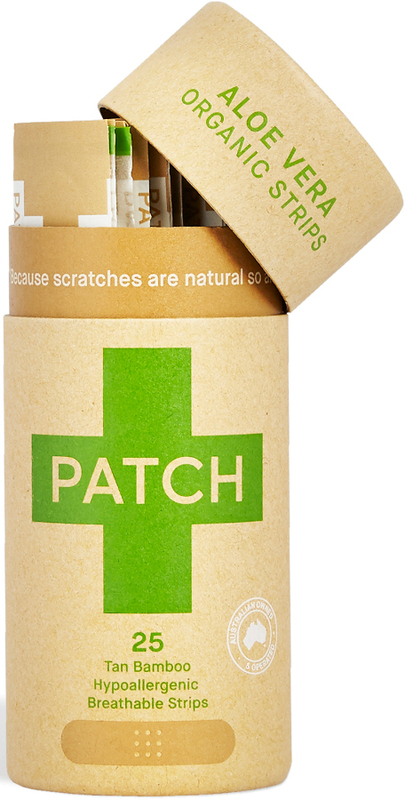 The first vegan & organic bamboo plasters in the UK! 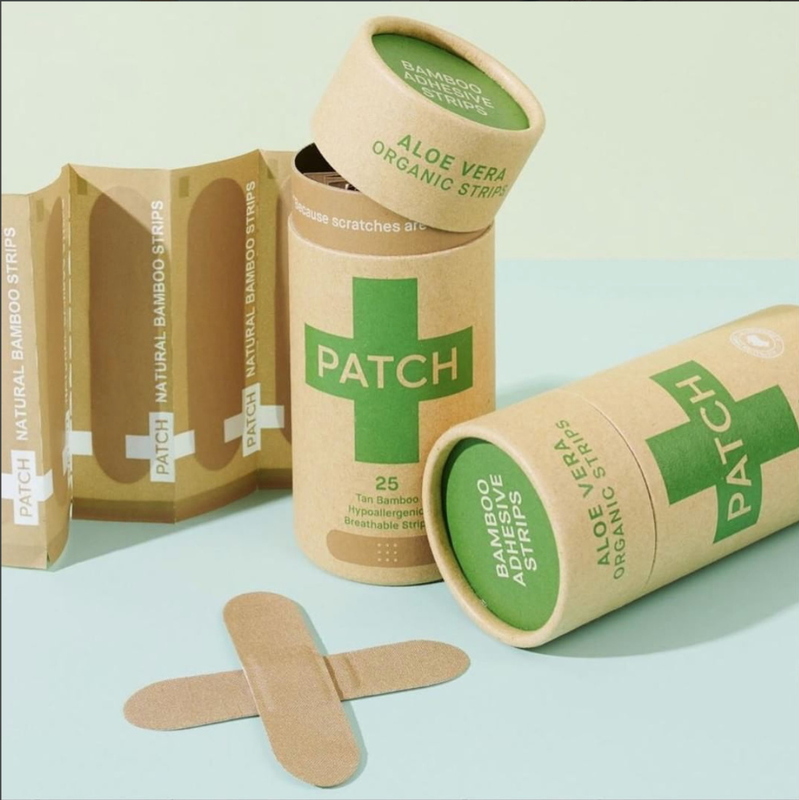 Patch make these plasters with soft organic bamboo fibre, with coconut oil gauze enriched with aloe vera extract to help repair and soothe burns, blisters and minor abrasions. The hypoallergenic pressure sensitive adhesive (PSA) is made from a combination of natural minerals and nano technology like tiny suction cups to gently adhere to the skin without causing reactions. 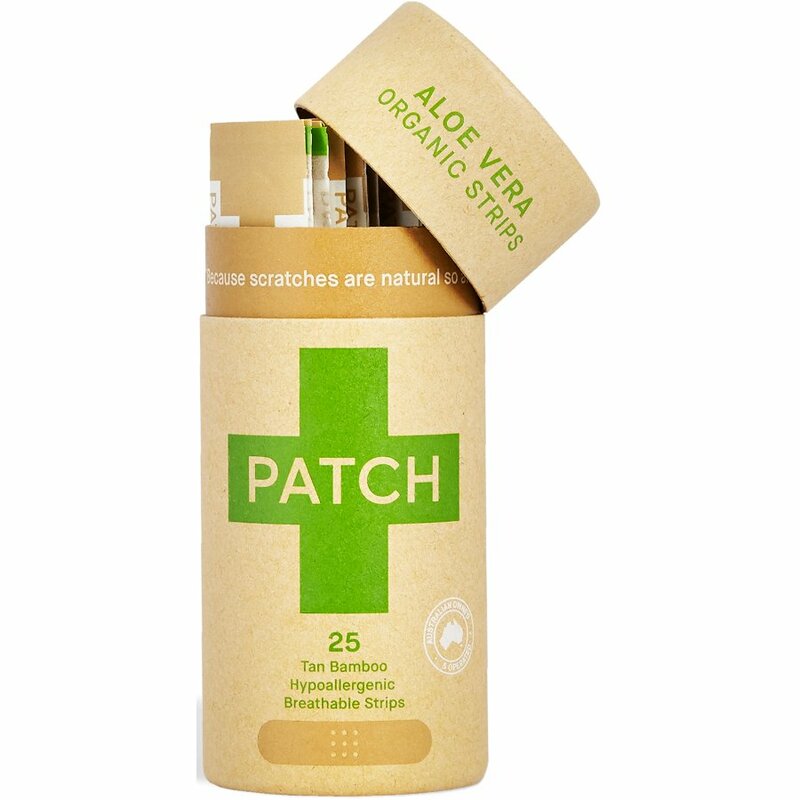 Free from irritating chemicals and containing ingredients historically proven to soothe symptoms whilst promoting wound recovery, they will leave no red marks or rashes and are suitable for even the most sensitive skin types. 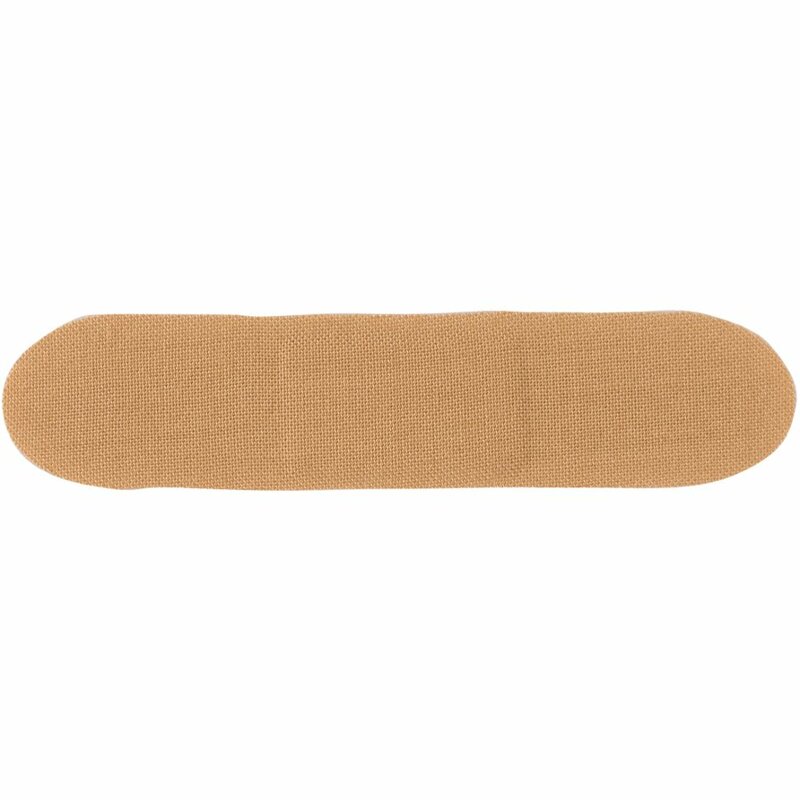 These plasters contain certified organic bamboo gauze which acts as an oxygen agent to assist with the skins natural healing process and they easily contour the skin for maximum comfort and protection. 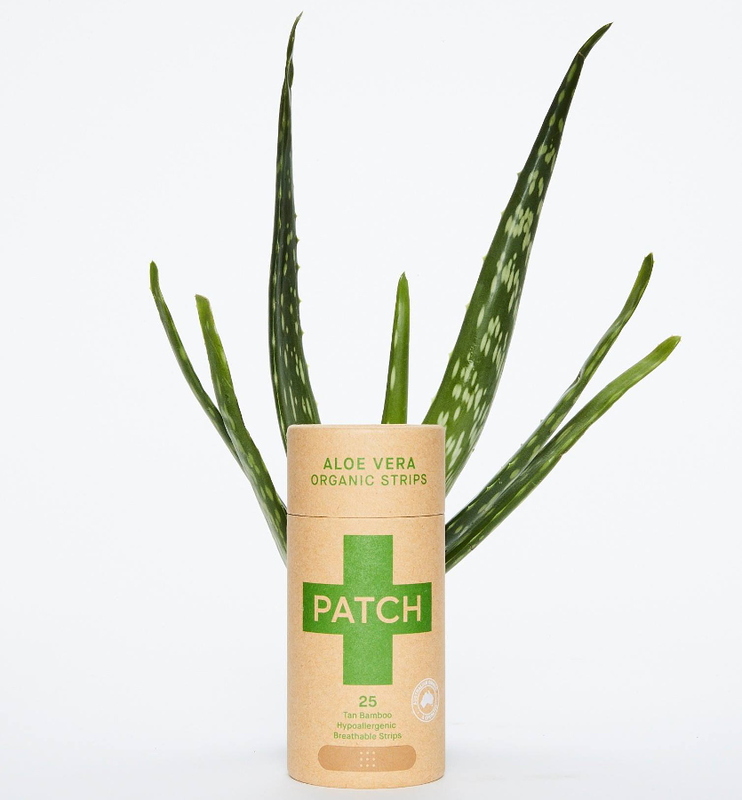 Patch take pride in using natural, organic, biodegradable and sustainable resources, that are historically proven to soothe symptoms whilst promoting wound recovery for even sensitive skin. 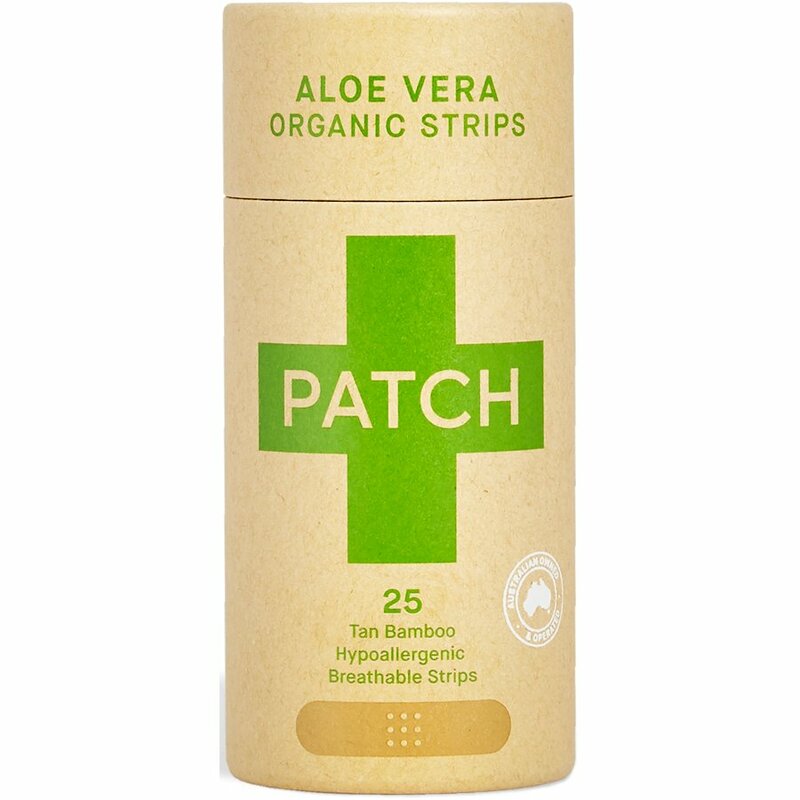 The PATCH Aloe Vera Bamboo Plasters - Tube of 25 product ethics are indicated below. To learn more about these product ethics and to see related products, follow the links below. 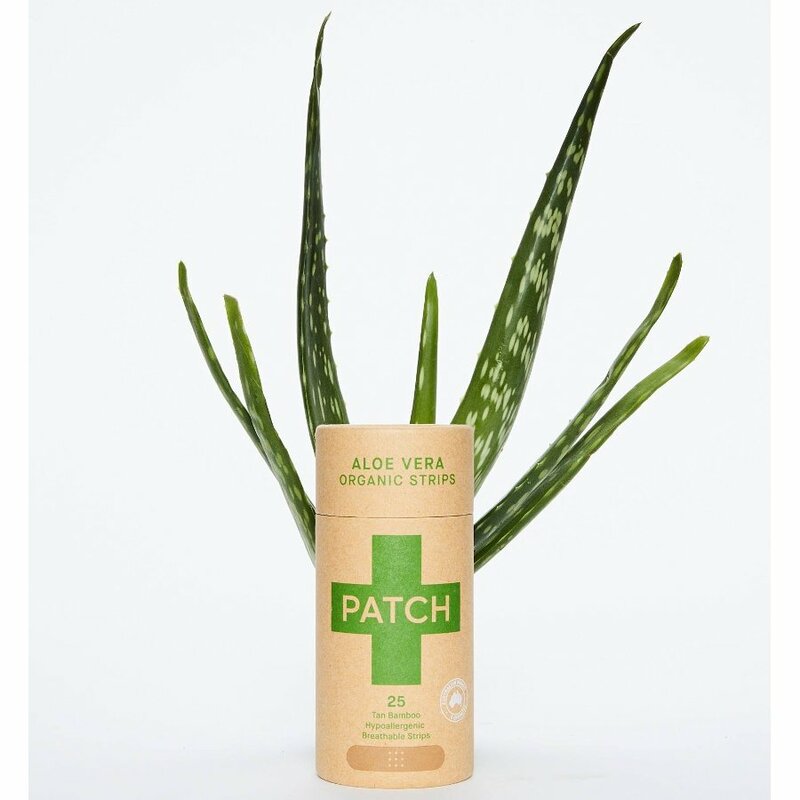 There are currently no questions to display about PATCH Aloe Vera Bamboo Plasters - Tube of 25.